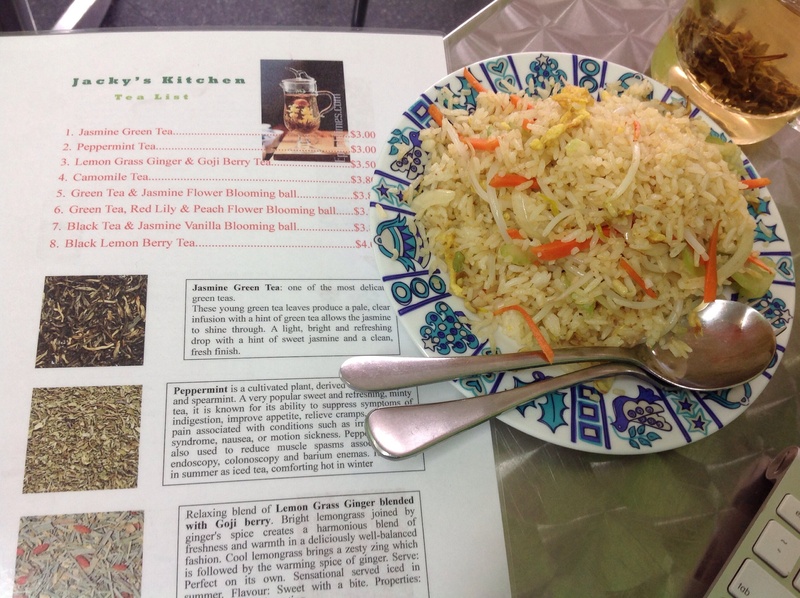 Consider a healthy vegetable fried rice and a green tea for breakfast at Jacky's Chinese Takeaway in Boronia. Easy parking and a quiet location. Child friendly. At an early hour of the day, I could have walked past a Chinese takeaway. There are many wonderful cafes in this region, but I'm glad I stopped in, lured by the promise of fresh green tea. When so many other outlets are serving tea in a bag, Jacky's delivers a very unique blend in an exciting glass pot server. You gently lift the glass receptacle from the cup to extract the lovely brew. 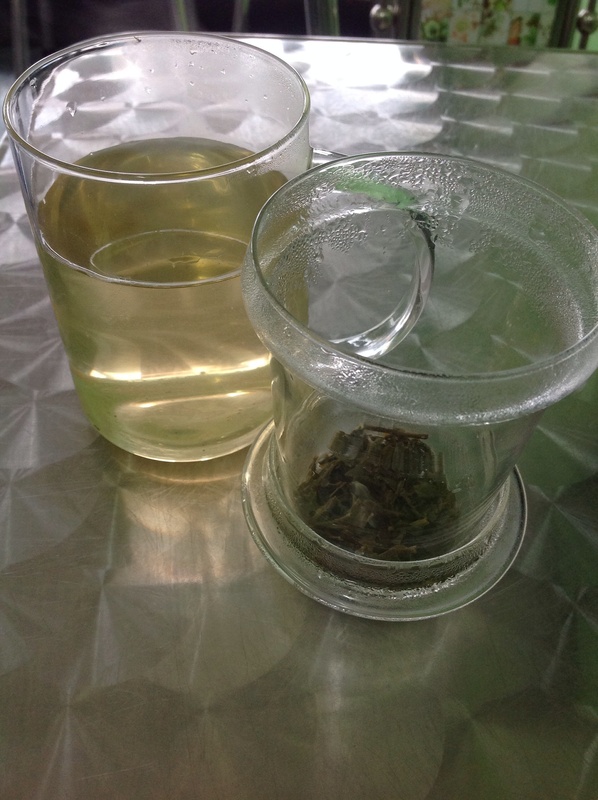 Jasmine Green Tea brewed on the table. These are real tea leaves and some of the options include: Jasmine Green Tea (a delicate, light and refreshing leaf, allowing the jasmine to shine through), Black Tea & Jasmine Vanilla Blooming Ball (a fragrant and sweet drop) and Lemon Grass Ginger and Goji Berry Tea (a well balanced zesty tea: warming and invigorating). Changing habits is fun. It is so nice to know that by midday, I have already had vegetables and rice along with a detoxing, very generous green tea. 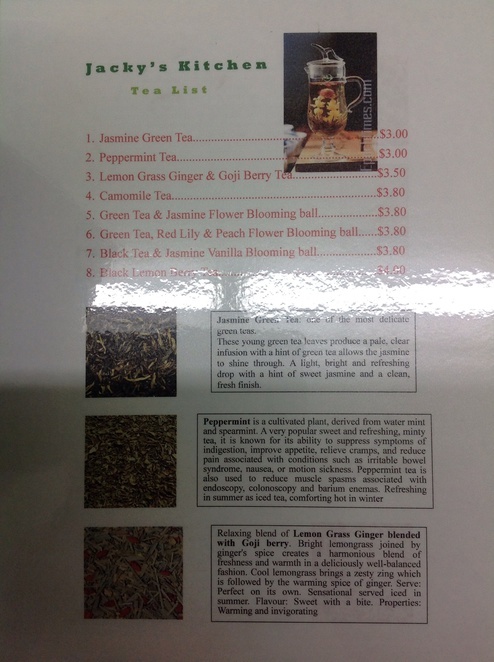 Please try these lovely varieties that may be a new experience for you. 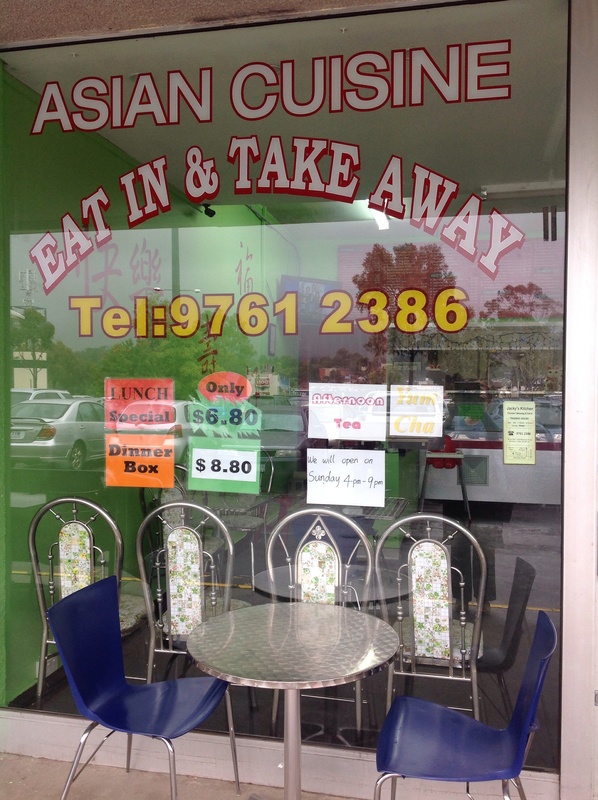 Being a Chinese takeaway, the little place chimes with a merry 'Ni Hao? '(how are you) as customers come for their various spring rolls, satay skewers, dumplings and curry puffs amongst other small items in their yum cha menu. 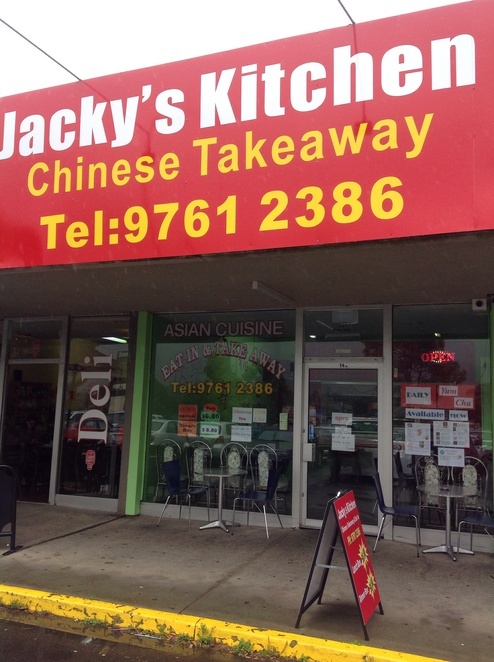 I can highly recommend Jacky's for a healthy change and a great start to the day. Light and full of vegetables: great for kids too. Accessibility: Jacky's has a very wide entrance with plenty of space between tables. The service is very helpful (no toilets available on site but nearby at Boronia train station).